There’s a weird, almost uncalled for bias against restaurants that shift into halal certification. I’ve heard complaints from both friends and family that dishes from restaurants which turn Halal certified just don’t taste as good. Before I went to The Halia for my meal, I was getting raised eyebrows when I told them that Botanic Garden’s The Halia had gotten their Halal certification. Such reaction, however unwarranted, had me going in with questions in my head. First things first: It’s a beautiful setting. 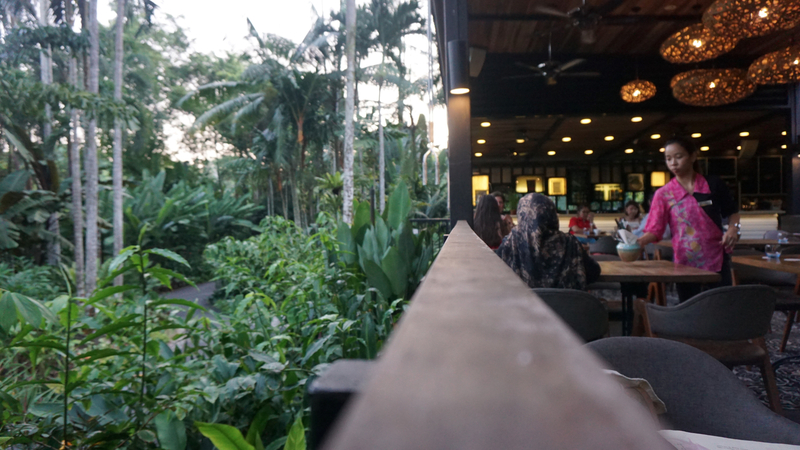 Whether for a weekend brunch or a nice post-work dinner, I think the world class Botanic Gardens serves as a perfect backdrop. The Halia capitalises on this, drawing its name from, and setting itself in the iconic Ginger Garden. I love the colour of the wood, natural light and how they tried to keep the place as open as possible for that garden dining feel. 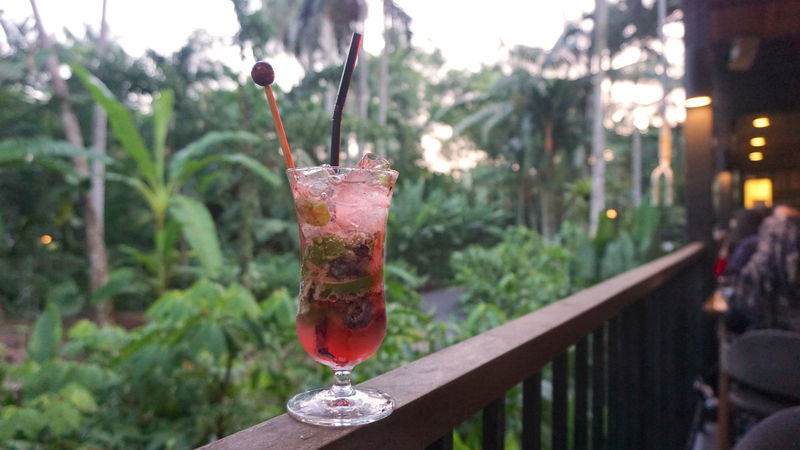 Halia Mint Berry is really refreshing! Going with that nice, natural environment, is the introduction of light bites onto the menu. 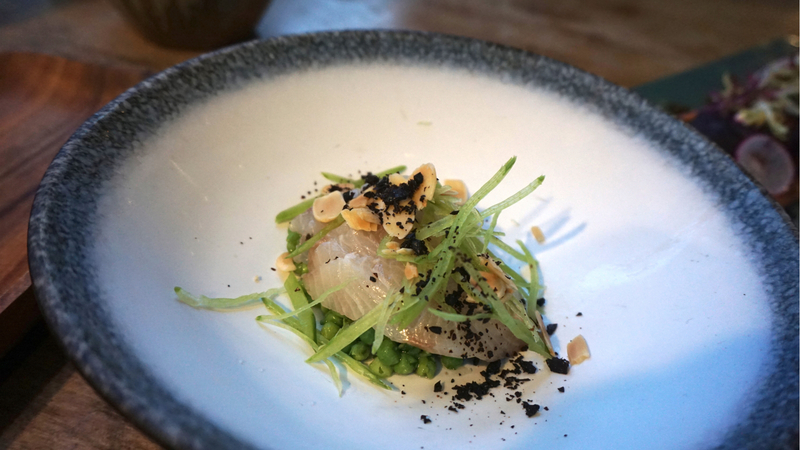 We started with a cold dish of Lightly Smoked Kingfish ($17++). I must say that this is a quick way to open the palate. That chilled cucumber & ginger shooter is a smart move, waking up the tastebuds with a quick flashes of cool and spicy sensations. I think the lemongrass oil was also a great touch in keeping the Kingfish from being overwhelming. It wasn’t mind-blowing for me, but I liked the ease with which the table took to this. 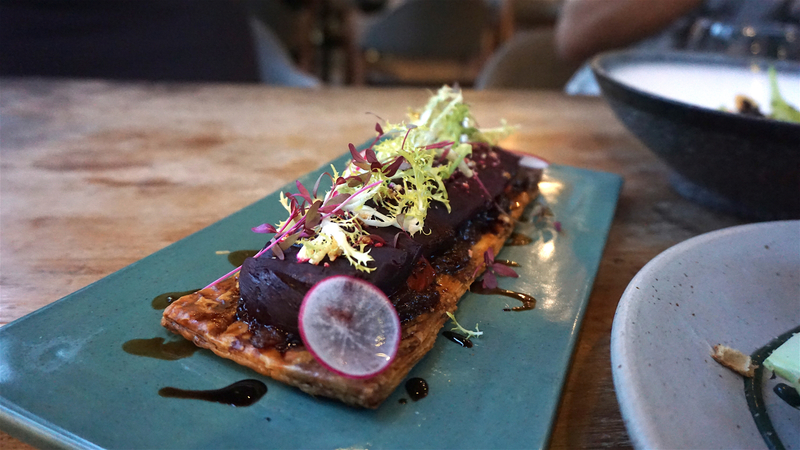 Savoury delights continued with the Carmalised Onion and Beetroot Tart ($17++). This was, at least for me, the star of the first half of this meal. I LOVE how the sweetness of the onion went so well with the slight acidity of that Balsamic glaze. However, the real magic happens when you bite down on this dish. That crunchy, light puff pastry at the bottom brings everything together so well! If you’re between meals but looking for some fibre to calm your tummy down, then the Charred Caesar Salad ($12++) is a good idea. It replaces the bacon bits with beef bacon, but the flavours and crunch aren’t missing. There’s merit to the use of the Black Garlic Aioli in giving some smoothness to the dish, but the real kicker here is the pickled cucumber. It cuts straight through the salad to give your tongue a little wake-up call. 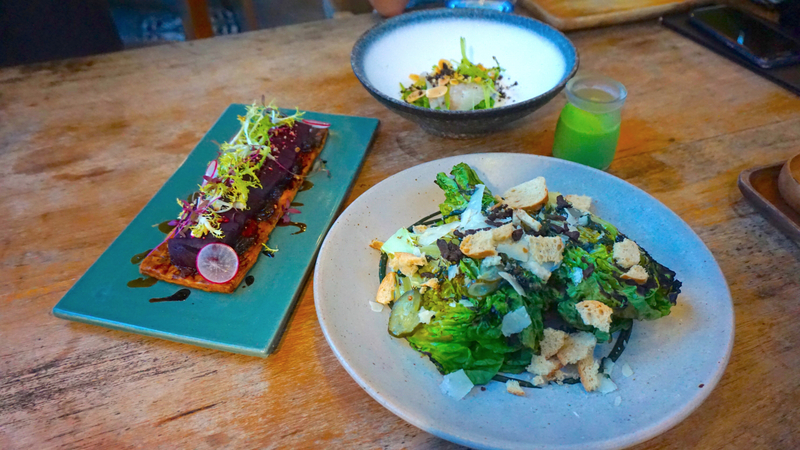 Large sharing plates are now the key focus for dinners, with the “Large” section of the menu taking a communal dining approach. 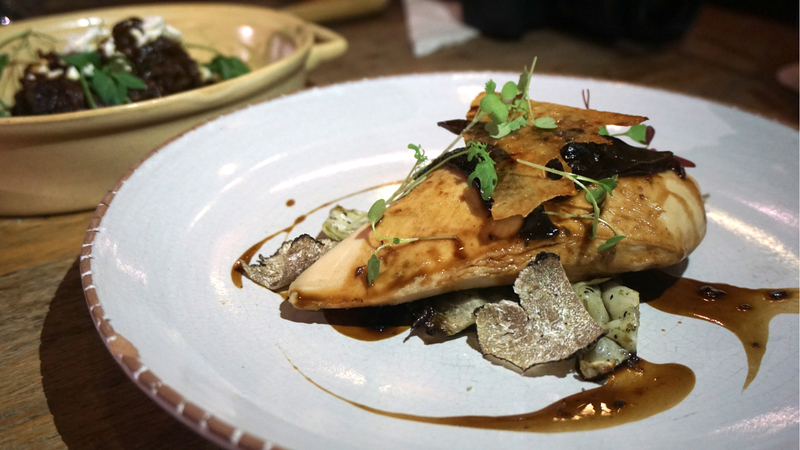 Out of all the dishes my group sampled, I found the Slow-cooked tender Chicken Breast & Braised Minced Leg Potato Gratin ($29++) to be the most unique. 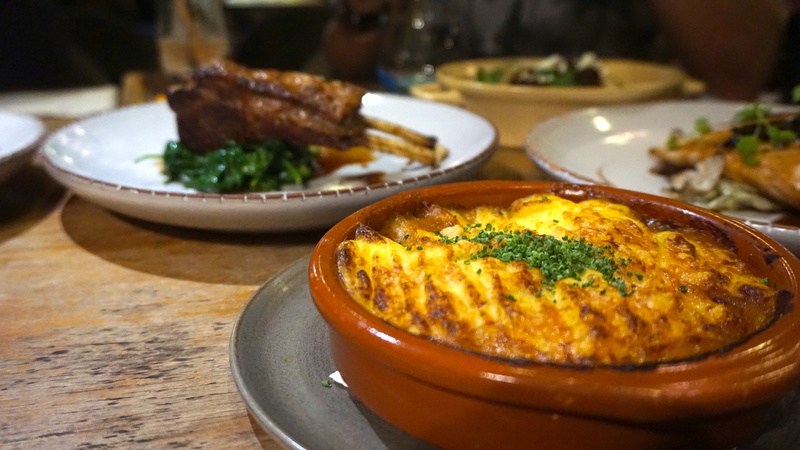 The chicken breast is juicy, while the gratin is comforting. It’s basically chicken done 2 ways, but the real winner here is that small pile of Wok-Hei cabbage that came with the succulent chicken breast. I noticed the group going back for more of the vegetables, and why not? They carry the fragrance associated with a good wok, scorching fire and perfect timing. The moment you bite into it is the moment you want just a little bit more of the charred vegetable. 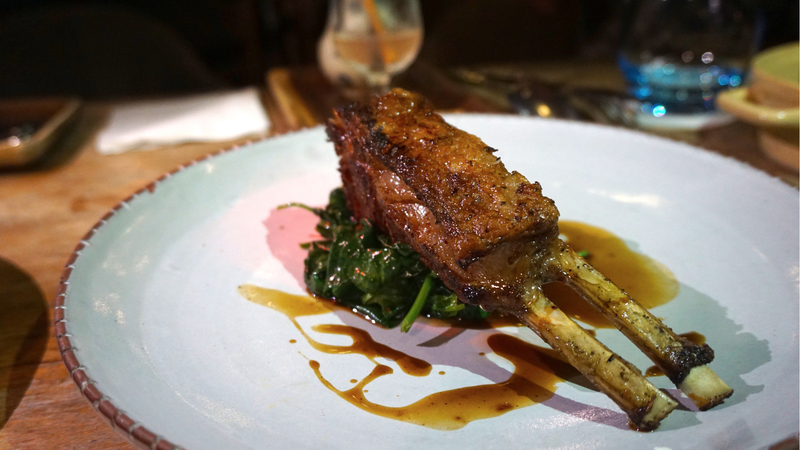 Meatier treats come in the form of the Lamb Rack and Braised Spice Islands Marinade Rump Stew ($46++). This is straight forward: a well-marinated rack of lamb for your rabid consumption with a the magical accompaniment of fragrantly-spiced stew with Bulgar wheat. This is as filling as it sounds, with the Bulgar wheat giving this dish most of its bulk without being overwhelming. 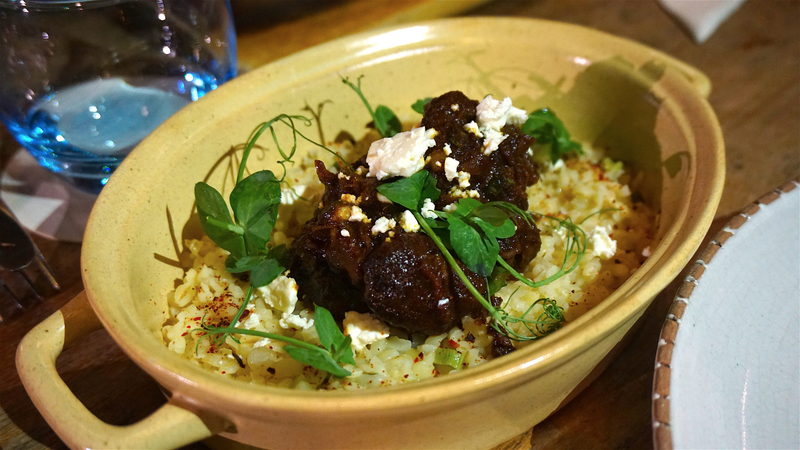 The rump stew is just gorgeous, with its rendang-like consistency providing sufficient chunkiness in the mouth. I washed this all down with a very nice Banana & Almond ($7++) which is actually a very satisfying banana smoothie (Fun fact: Bananas belong to the Ginger Family!). The desserts here are really just for those that want something sweet to end their meal. I’m not a huge fan, mostly because I don’t have a sweet tooth, so I didn’t really fall in love with anything here. But if my life depended on it? I’d go for the Fig Tart ($11++). 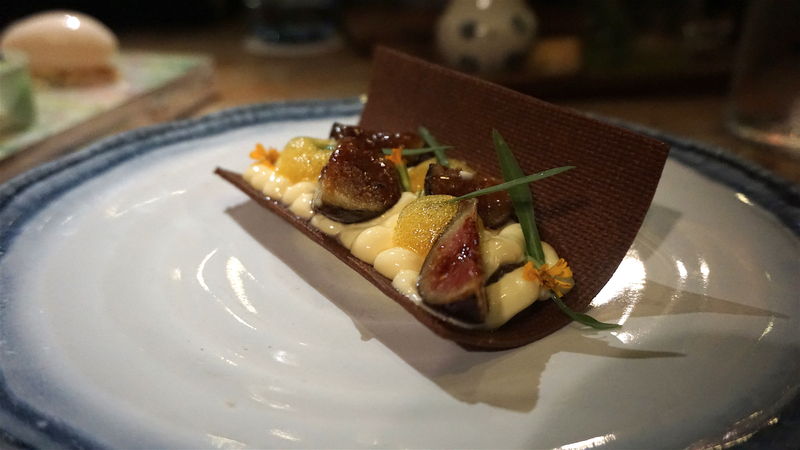 It’s simple, not overwhelmingly sweet and I like how they made sure the fig stood out in the dish. I think The Halia is holding some great value here: It’s reasonably priced for the portions and the world-class location. More importantly, the offering here stays more than palatable, even while keeping its unique subtle Asian twist to what is essetially European-based cuisine. Hands down, this is the place to go for a romantic dinner/Sunday morning brunch with your partner. If you’re going as a couple, an order of 1 large plate and 1 or 2 light bites is enough to fill your tummies. Group diners benefit even further from being able to sample almost the entire menu.